Skiathos, who according to tradition got this name because it is located in the "shadow of Athos" (i.e. of St. terms), is the westernmost island of the Northern Sporades cluster and is located between the coasts of the Prefecture of magnesia and on Skopelos. The island has excellent climate and well developed tourist infrastructure, which can combine cosmopolitan holiday and at the same time rest and tranquility, in a rich natural environment. Skiathos is famous for its beautiful beaches Distinguish lalaria., the Stone, the Blue Hole Cave, Koukounaries, Kanapitsa and Great Ammo. easier access is by taxis, though expensive. If you choose this solution contact phone 24270-24461. Buses stop just outside the harbour can take you to all parts of the island with the movements in three different lines, the blue, red and green. for information on bus routes. Skiathos is connected daily with the harbour of Volos and Agios Konstantinos in the Prefecture of fthiotida. 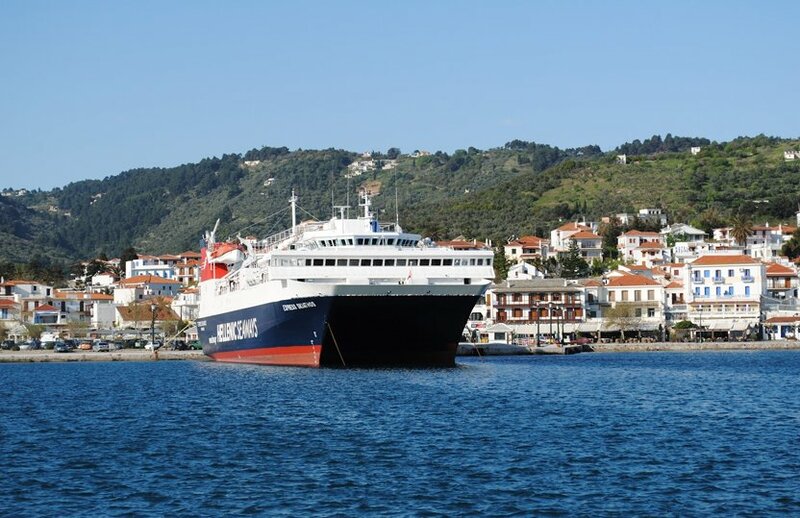 The routes to the port of Volos are made with conventional Anes Ferries and ships of Hellenic Seaways. The routes to the port of Agios Konstantinou made with high-speed and conventional ships of Hellenic Seaways. From the port you can visit the other islands of the Sporades, Skopelos, alonissos and Skyros taking a speedboat the conventional ship. For information on arrivals and departures Skiathos port contact in phone 24270-23720 and 22017. Air Champion24 .com offers ferries to and from Skiathos on all services performed from any port of Greece. You can easily search and choose your ferry route that it serves, easily and instantly. The booking takes place in real time using your credit card or by making a booking with the help of the staff of our Office.